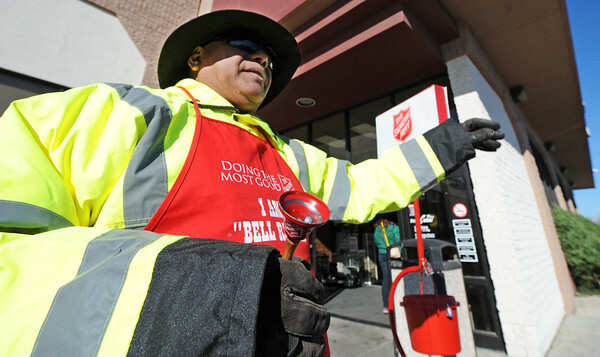 Florencio "Pepper" Ramirez waves to customers as he rings a bell for the Salvation Army Friday morning, Nov. 23, 2012, outside Price Cutter Plus on Maiden Lane. Ramirez, who is in his second year as a bell ringer, said he will ring the bell for a 10-hour shift Friday and Saturday to kick off the holiday season. "We can't ring until after Thanksgiving," Ramirez said.